Will betting games become more commonplace as it becomes mainstream? With the Supreme Court paving the way for legalized sports gambling from coast to coast in the United States, the first takeaway — or assumption — is that there will probably be a LOT more gambling in Philly, and soon. But that might not actually be the case. "Will people stop going to their local bookie and go to an authorized place? I don’t know," Josh Ercole, the Chief Operating Officer for the Council on Compulsive Gambling of Philadelphia, said. "They may trust their relationships with bookies more than the legislatively approved places. I know people who are very good friends with people who they place bets with." Ercole contemplates, as his expertise is providing help for gambling addicts, that the number of addicts he helps may not explode once the Pennsylvania legislature decides exactly what to do now that the coast is clear for a new industry to start in the state. He expects that any bill passed would provide funding for the PA Department of Drug and Alcohol Programs (to pay for programs to help curb addicts), but not that the people needing help will vastly increase. At least not yet. "At this point, I would imagine within the next year or so we will probably see," Ercole, whose office in Ambler offers a variety of services including a hotline and therapy, said. "In terms of it becoming problematic and receiving help line traffic, that will take some time to see." "There is also now more and more brick and mortar gambling than we have ever seen and online gambling," Ercole continued, going on to point out that it takes a while for someone new to gambling to realize they have a problem and look for help. There are other reasons why there may not be a huge gambling spike — it's cheaper to stick with your bookie. One local bookie mentioned to PhillyVoice that putting money up front, which is required to bet online and would also be in a legalized setting, is undesirable. As is the potential of having to pay taxes on winnings. 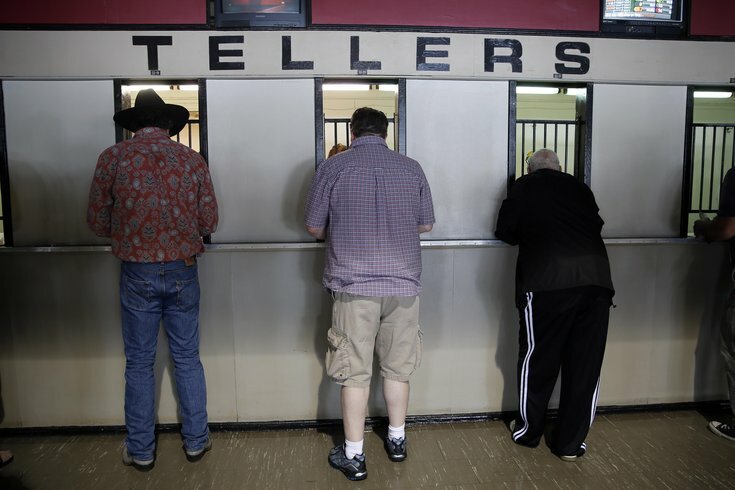 The underground betting world might not take as big a hit as one might think. The city of Philadelphia, with its proud sports tradition and diehard fans, may not be as big an at-risk area for an increase in gambling problems as one might think either. "Areas of population and areas where there are sports teams centrally located would likely fall into the more at risk geographic regions," Ercole said, "But come college football season who knows. There's going to be more rural areas than Philadelphia that have a great focus on college football nationwide and with March Madness its anybody's guess." With the recent expansion of gambling all across the region, from Philadelphia to Delaware to New Jersey's expected quick turn to sports betting, it's likely only a matter of time before Pennsylvania gets in the game. But with the NFL already cashing in from the fantasy football effect — making even the dullest of Titans vs. Buccaneers games interesting — there may not be much of a noticeable effect on the sports market.